Spanish translator; lived in Spain toward the end of the fourteenth century. 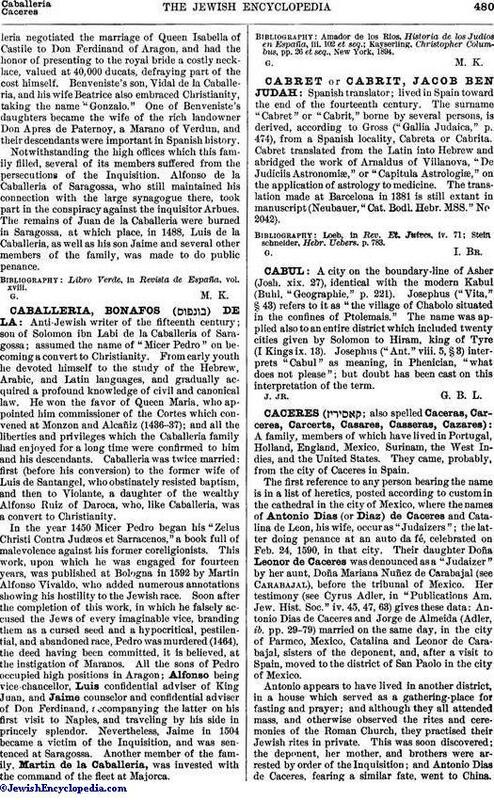 The surname "Cabret" or "Cabrit," borne by several persons, is derived, according to Gross ("Gallia Judaica," p. 474), from a Spanish locality, Cabreta or Cabrita. Cabret translated from the Latin into Hebrew and abridged the work of Arnaldus of Villanova, "De Judiciis Astronomiæ," or "Capitula Astrologiæ," on the application of astrology to medicine. The translation made at Barcelona in 1381 is still extant in manuscript (Neubauer, "Cat. Bodl. Hebr. MSS." No 2042).